The fallout from the horsemeat scandal will benefit British farmers, a major national conference was told. 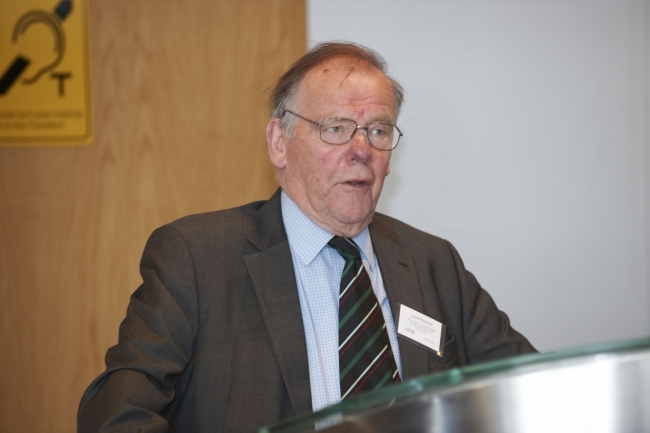 Lord Haskins, former chairman of Northern Foods, said “intelligent supermarkets and buyers will want to shorten their supply chains and be closer to their source of food – British Farmers”. Lord Haskins was addressing “Assuring the Integrity of the Food Chain” – being held at the Food and Environment Research Agency in Yorkshire and attended by 100 delegates from the food industry. He said one East Yorkshire pig farm was already reaping the benefits with requests from major supermarkets to increase its production, and the time now is for greater transparency and communication to increase consumer confidence. Lord Haskins was chairman of Northern Foods for 16 years and in 2001 he was the then Government’s ‘rural tsar’ at the height of the foot and mouth disease epidemic. He urged supermarkets and other food sectors such as catering and hospitality to conduct rigorous checks of suppliers producing processed food but not to push hard for cheaper food. The conference was organised by the York, North Yorkshire and East Riding Local Enterprise Partnership. “In Yorkshire, 55,000 jobs are dependent on food manufacturing which is why the issue of assuring the food supply chain is so important to this region. Consumer confidence in British products was higher than for non-British sourced food, the conference heard. The conference also heard from both Defra and the Food Standards Agency (FSA). John Barnes, head of the FSA’s local authority audit and liaison division, told delegates the horsemeat crisis had been ‘horrendous and relentless’ since the first cases of ‘breaches’ had come to light. The food and drink industry is the single largest manufacturing sector in the UK, with a turnover of £72.8 billion, accounting for 15 per cent of the total manufacturing sector. 440,000 people are employed in food manufacturing in the UK.